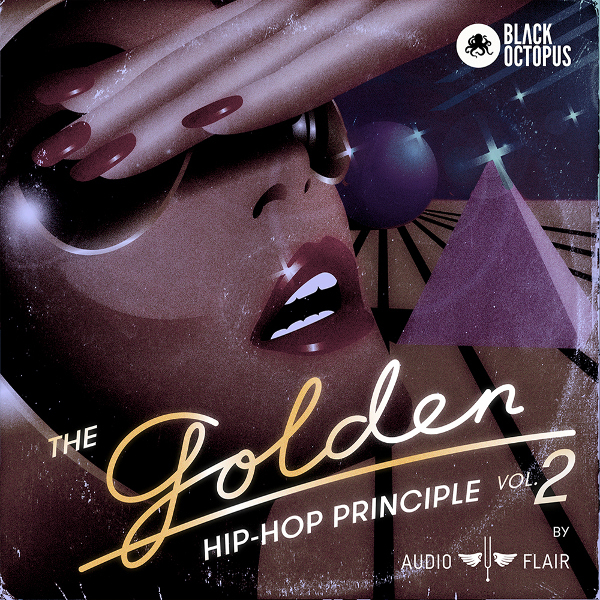 The Golden Hip Hop Volume 2 by Black Octopus Sound is Soundware (e.g. samples or presets that load into other products). Audioflair is back with The Golden Hip Hop principle vol 2 - their follow up collection of old school funk and soul samples. This sample pack captures the same warm & vintage style sounds as the first volume. The sounds can be chopped and sliced and will fit right at home in hip hop, funky house, glitch hop, and other genres looking for a vintage vinyl funk sound. The Golden Hip Hop Principle contains 22 full loop kits, broken down into separate stems, one shots, and full loops for maximum flexibility. This pack contains an assortment of funky basslines, mo-town pianos, soulful keys, guitar stabs, gritty drums, and much more. All these sounds have been given special processing to make them sound like they are straight out of a 70's vinyl record. All loops and one shots are labelled with tempo and key information. The sounds in this pack are all royalty free.